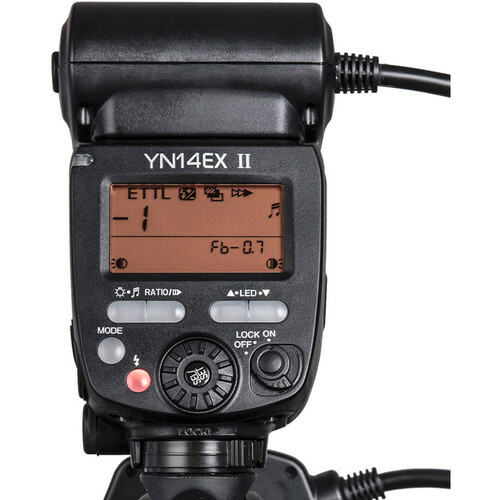 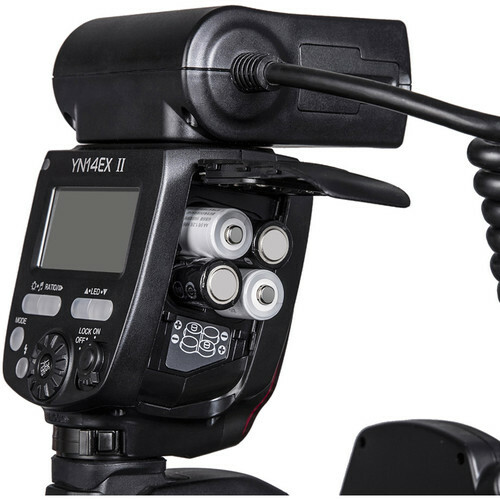 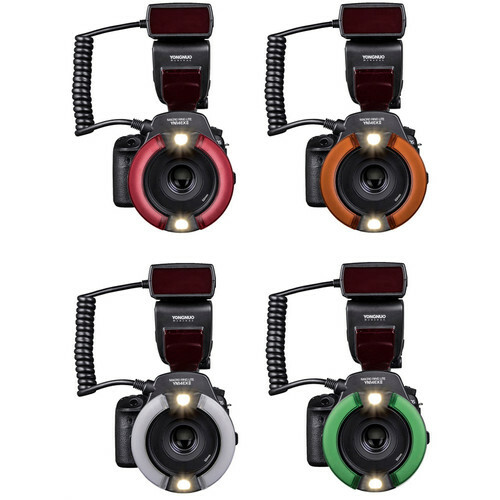 Yongnuo has put together this YN-14EX II TTL Macro Ring Flash Kit for Canon for photographers who require a lightweight solution for soft, detailed, wrap-around lighting for close-up work. 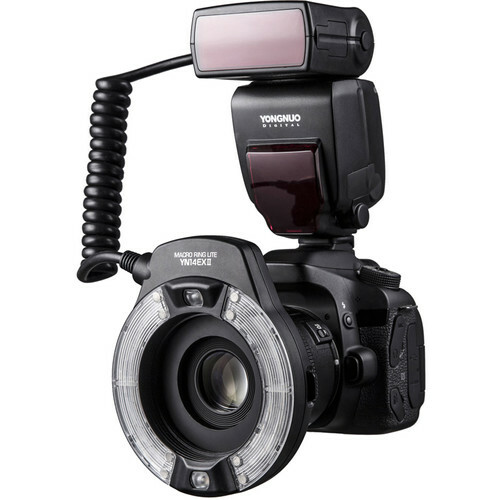 The kit includes the E-TTL / E-TTL II-compatible, shoe-mount control unit and a ring flash with 52, 62, 67, and 72mm lens adapter rings. 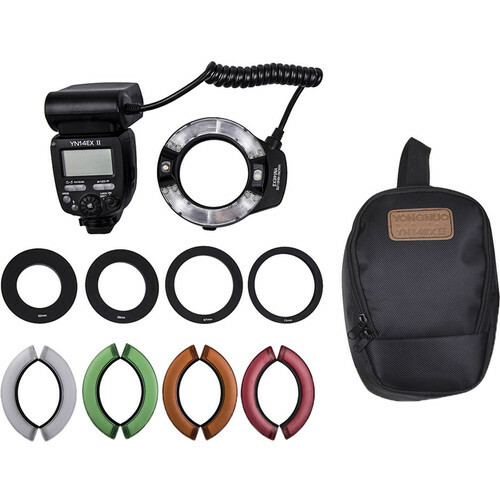 Four snap-on CT filters are provided for fine-tuning the flash's 5600K output, while a carry bag is included for storage and transport.